The US government has responded to the demands of companies in industries that employ Science, Technology, Engineering and Mathematics (STEM) graduates. By creating a special OPT Program Extension visa, international STEM graduates are provided additional time to stay in the US and work, both during and after graduation. The goal is to address the companies' claims that there is a shortage of vital STEM professionals limiting their ability to expand their workforce. First, a few basics. An international student who first enters the US generally does so on the F-1 visa. This visa limits the student to working only on campus - as a graduate assistant or in the college library, for example - for a certain number of hours a week. When the college is not in session (such as during the winter or summer break), the student can work outside of campus but only in a job that is related to his field, after obtaining the necessary approvals. In general, an F-1 student could be authorized to receive up to a total of 12 months of practical training either before (pre-) and/or after (post-) completion of studies. This benefit is only available when the F-1 student has been enrolled for one full academic year. The student is still on the F-1 visa. If students have graduated, most try and convert to a work visa, H-1B, during this 1 year if they decide to stay on and work in the US. But H-1B visas are also severely restricted, so conversion is not always easy. In 2010, just 8% of all F-1 students converted to an H-1B visa. For a student in the STEM field, the playing field opens up substantially. A STEM graduate can work for an additional 24 months in his field - for a total of 36 work months in the US on an F-1 visa. This additional period provides more opportunities for students to consider their career plans giving them extra time to seek an employer who is willing to sponsor them for H-1B work visas. Remember however that students working on an OPT Extension visa must continue to be employed to enjoy program's benefits. 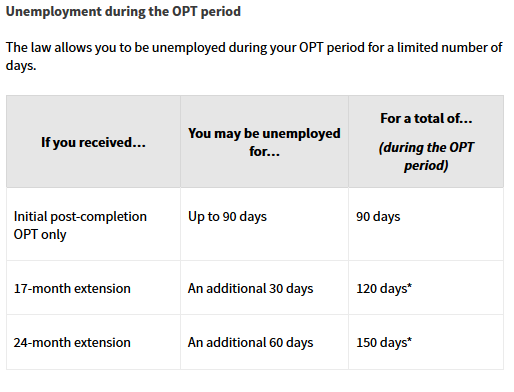 If a student's term of employment ends when on OPT (either because of a layoff or other work action), the so called "Unemployment Clock" starts. The student must find suitable employment within a certain defined period, or else, he or she has to return to the country of origin. 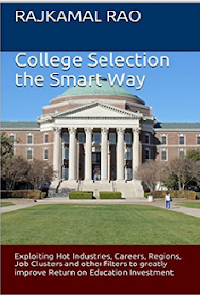 The OPT Program Extension is a significant benefit not available to non-STEM graduates. This is not an entitlement, however. The STEM student must be in good standing and be approved by the US government for the so-called OPT Program Extension. Check out more details from the United States Citizenship and Immigration Services (USCIS) website, including which degrees qualify as STEM degrees. It is also important to understand the usual bureaucratic roadblocks to obtaining STEP-OPT extensions. Many students assume that the extensions are automatic. This is incorrect. 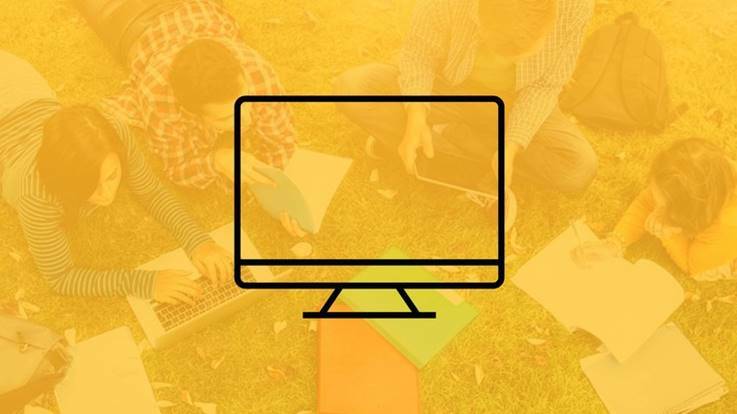 Students must apply for the extensions through the SEVIS system by contacting the school from which they graduates. Also, students can only do this if they maintain legal status - that is, they are on the OPT visa to begin with. A bright international student from Plano called me for advice on Aug 16, 2018. Her OPT visa was issued on Aug 31, 2017 through the grant of an Employment Authorization Document (EAD) which allowed her to obtain a position as a software engineer at a local company. The company was so pleased with her performance that it retained lawyers to file for her H-1B on April 1, 2018 - a filing which the government has still not made a decision on. The student continued to work into mid-August and then realized she was in peril. What happened? Although her OPT-EAD visa was granted for 12 months, a quirk in the law requires students to apply for OPT-STEM extensions no later than 14 months after graduation. The government assumes that May 31 is the graduation date for most Master's students in the Spring Semester. Add 14 months to this date and the OPT-STEM application date is July 31 the following year. In the case of this Plano student,she should have applied for the 24-month OPT-STEM extension by July 31, 2018. But she forgot. And her company's attorneys failed to warn her that the extension application was imminent - a gross dereliction of duty. The result is that this person now is completely unprotected. If the government rules against her H-1B filing, she has to resign from her company on Aug 31, 2018 (when her current OPT visa expires). And she must leave the country within 60 days unless she enrolls in a Ph.D or another Master's program. This is an awful position to be in when a simple Google calendar reminder could have prompted her to act before July 31, allowing her to continue to work and even enjoy Cap-Gap benefits later. Critics who believe that the US has no shortage of STEM talent contend that the OPT Program Extension is a back-door way to increasing the number of H-1B visas limited by law, because there are no restrictions on the number of OPT visas that can be issued. They charge that the system is ripe for visa abuse and there may be some truth to it. Here's an excellent article from Mother Jones magazine about how small body shops or consultancy firms exploit students on OPT visas. The number of OPT STEM visas granted has risen from about 29,000 in 2008 to nearly 123,000 in 2013! By comparison, the total number of H-1B work visas allowed each year remains stuck at 85,000. 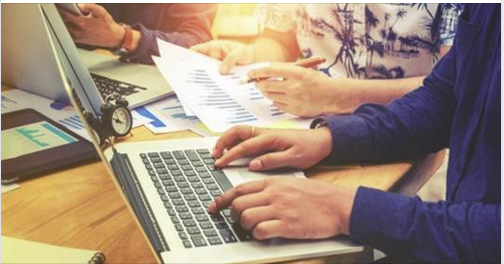 Everyone - TCS, Infosys, Wipro – and the international student competes for the same visa pool, although technically, 20,000 of the 85,000 visas are dedicated to those with U.S. degrees. For the last several years, the 85,000 H-1B visa cap was reached within a week. Clearly, the OPT Program Extension has been very popular with STEM students who feel welcomed into an elite club unavailable to anyone else. But there are strict rules to be followed, so it really helps if students are mindful of what they are. 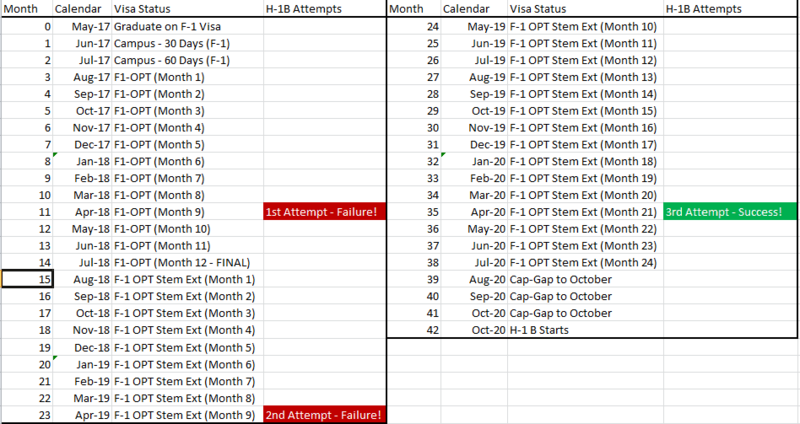 Cap-gap occurs when an F-1 student’s status and OPT work authorization expire in the current fiscal year before they can start their approved H-1B employment in the next fiscal year beginning on October 1. Under this rule, the F-1 status of students is automatically extended when the student is the beneficiary of an H-1B petition for the next fiscal year (with an October 1 employment start date) filed on his or her behalf during the period in which H-1B petitions are accepted for that fiscal year. In the US, timing is everything. We mentioned earlier that H-1B visas are scarce. The "cap-gap" benefit that is available to all F-1 students provides students multiple chances to secure the H-1B but stay and work in the US. In our analysis (see image), a STEM student can get three proverbial "bites at the H-1B apple" before being forced to return home. USCIS has clarified that even with the 24 month extension, the cap-gap benefit still applies. Suppose a student starts an MS STEM degree program in Aug 2015 and completes her degree in Spring of 2017. She also gets a full time job at company ABC with a start date of Aug 1, 2017. She gets her OPT benefit and begins working at the company. The company files for her H-1B on April 1, 2018 but because of the visa lottery and the limited H-1B visas, she learns that her application has been denied. This constitutes her first H-1B attempt. But she is allowed to continue to work on her OPT visa through July 31, 2018. As a STEM graduate, she converts to the OPT EXT visa and continues working at ABC company without any interruption. This is for 24 additional months. She gets two additional bites at the H-1B apple, in April 2019 (assume again that this is denied) and in April 2020, for a third time. Because the H-1B lottery system provides bonus points to those previously denied, the chance that she gets her visa by the third attempt is very high. 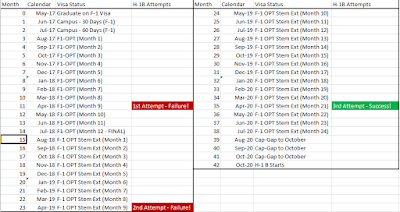 [I have never yet seen a student client being denied her H-1B by attempt #3]. Assume that she does get her H-1B visa in the April 2020 lottery. She continues on her OPT EXT through July 31, 2020 but now she automatically qualifies for the Cap-Gap extension. She is allowed to continue work at ABC company until Sep 30 on her Cap-Gap and seamlessly convert to her H-1B on Oct 1, 2020. As we said, timing is everything. 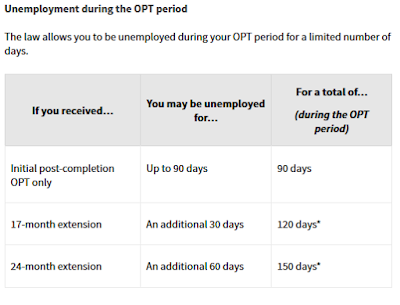 Use the above example for your own situation recognizing that the new STEM-OPT extensions are granted for a total of 24 months and create your own Cap-Gap chart. Can F-1 students travel outside the US during this time? The rules are complicated but here's a good guide.